In recent weeks I’ve been discussing the challenges developers face with getting their apps noticed and used, the problem of rampant abandonment, and the development costs involved - on average around $250k per enterprise app, often exceeding $AUD 600,000. This hasn’t slowed the appetite for development though. Since the introduction of iOS and Android in 2008, mobile apps have grown to become the primary interface to computing resources. In 2016 more people accessed the internet via mobile than desktop. The same applies to enterprise users, as businesses increasingly aim to mobilise their workforces, giving their people access to the tools they need when they’re away from their desk. Apps represent the evolution of software functionality from the traditional desktop interface to a usable mobile format. As well as business development, well designed enterprise apps can interface with systems of record to improve internal business processes, increase productivity, improve customer service, and help to cut costs. Systems of Record are the operating systems of an organisation. These are both back office and front office applications and databases, which manage activities like finance, sales, marketing and human resources - ERP, CRM, accounting software, etc. Responders stated that the biggest challenges encountered when implementing enterprise mobility projects were integration with legacy systems. Conventional contact channels like email, mail and SMS, act as conduits for notifications or alerts from these systems, requiring a user to take an action based on a change made to the respective system. E.g. a new support request entered into an IT Help Desk will usually trigger an email to a technician requiring them to log a response, open their ticketing system, change the status, assign it and update the description. Which then generates another email. The issue is that many of these conventional contacts are overlooked – either through notification overload, or through the message being delivered to a channel they aren’t actively monitoring. Apps on the other hand receive much higher levels of engagement, and when designed properly are essentially a front endpoint for systems of record, allowing actions to be taken directly from the interface. The app itself can be simply thought of as a means of controlling these programs, an interface that sits in the pocket of the user. 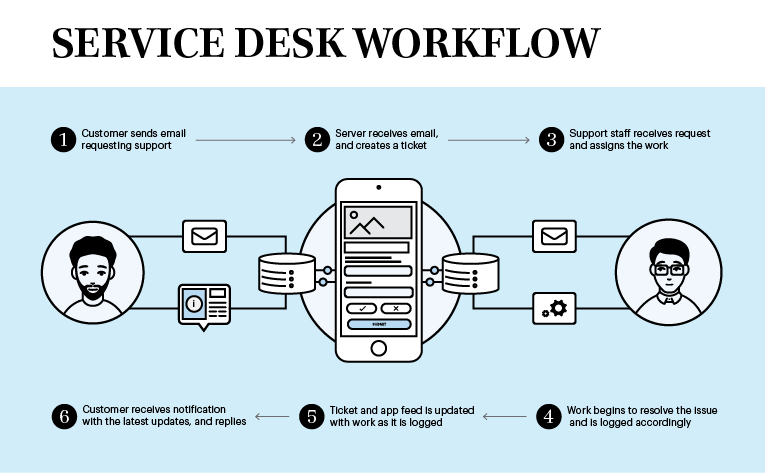 In the service desk example above, an app designed for this workflow would allow the technician to receive the notification, change the status of the ticket, assign it and update the description from one place. This saves time and effort for the engineer and overcomes the risk of important notifications being missed. The portion of your population that uses the app is typically the most engaged part of your ecosystem. These are your power users, your best customers, your staff who really get work done. Unfortunately, very few apps get the level of engagement that’s needed to justify the high cost of development and ongoing maintenance. The problem, typically, is that only a very small portion of your user base download and/or use your app. In the conversations I have every day, it’s clear this number is low as 5% of your target audience. The user interface (the front end) is usually only a small part of the cost of building an enterprise app, especially with all the development platforms available now to quickly assemble and deploy the code. The bulk of the work and cost goes to modelling the workflows of the underlying business logic needed to connect the app and its components to the systems of record which they interface with. As workforces becoming increasingly mobile, the goal has shifted from cramming in features, to delivering highly targeted experiences, relevant to the moment, and suited to the mobile interface. Unfortunately, to combat the problem of low adoption, developers often end up adding more and more features to the app to justify the investment, which adds bloat, cost, and actually reduces engagement. Are micro apps the silver bullet? 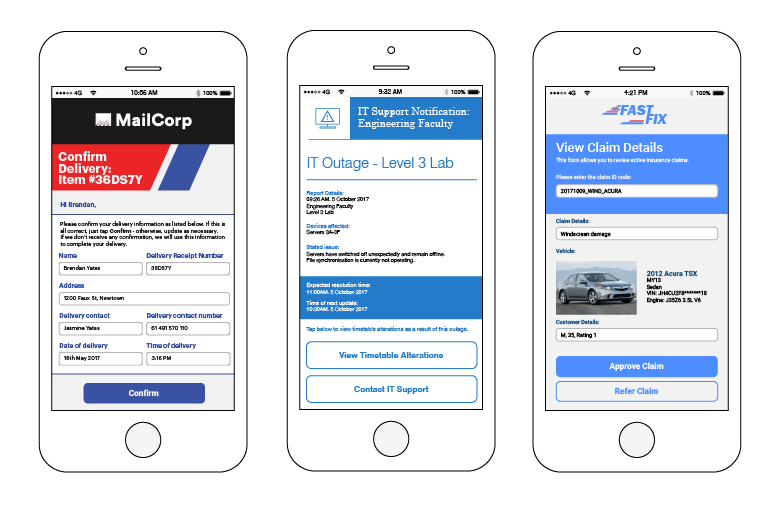 A micro app is a stand-alone tool that focuses on a highly targeted set of application functionalities, offering users a faster time-to-interaction with the functionality they need in that moment. This is just as important for business as it is for accessing personal apps. Micro apps are designed to execute one function very well, with an interface optimized for a highly targeted user type, a specific application workflow, a specific set of devices, and the mobile environment that the app will most likely be used in. Mobile moment: Gartner defines the mobile moment as the point where an app delivers everything the user expects, immediately, and in the right context. What are the downsides of micro apps? The main risk of a micro app strategy is managing a larger number of standalone mobile applications. This can create complexity through different approaches to development and multiple code bases to maintain, with the associated infrastructure and software deployment challenges. So, what’s the answer to accessing this functionality, without blowing out the costs and complexity of development? As discussed, the real value of a mobile app is the seamless connection it can create between your internal systems of record and your target audience – customers, staff and other stakeholders. However, if your target user doesn’t have the app installed, the work done to create these processes gets lost, and you end up relying on traditional methods to access your workflows. Supplement, don’t replace your apps. Whispir can mimic the performance of any app, giving you the tools to create HTML5 micro apps quickly and affordably through the Rich Message Studio and Template Library, becoming a complete micro app creation environment. The intelligent algorithm and API connectivity allow the platform to interface directly with any system to manage the workflows and outcomes of any full featured mobile application. The communication from the system of record is delivered via Whispir on the contact channel and device that suits the users best – smartphone, tablet or pc, through email or SMS. The great advantage is that the user doesn’t need to have the app pre-installed to be able to access the features, data, and the workflows behind it. The alert the user receives opens a HTML5 micro app in the platform, creating a direct connection to the system of record. This builds on the existing work already done to map and connect your app to the relevant workflows, and gives information and control of the system directly to the user. 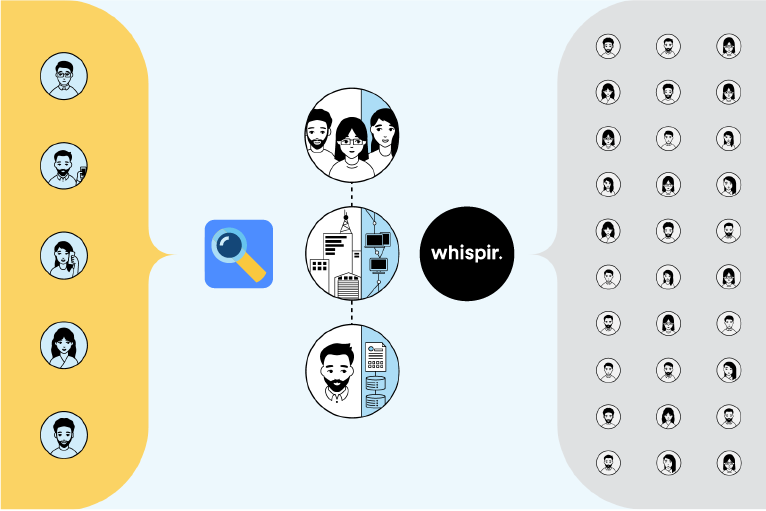 Whispir integrates via API to all major systems of record to directly interface with that system’s data, in 2 directions. The app initially calls the system’s data and gives the user the appropriate interface and tools to make an informed action at the exact time they need it. The action is then recorded directly back to the system of record, which is updated in real time, again via API. So, to sum up, apps are a great way to engage your audience and create powerful business outcomes. If you’re struggling to justify the cost you spent on development, though, all is not lost. You’ve done the hard work in connecting your app to your systems of record, now it’s time to connect the rest of your target ecosystem. Get in touch and let me show you how to build on that investment and the work you’ve already done, and bring out the full value of your app.